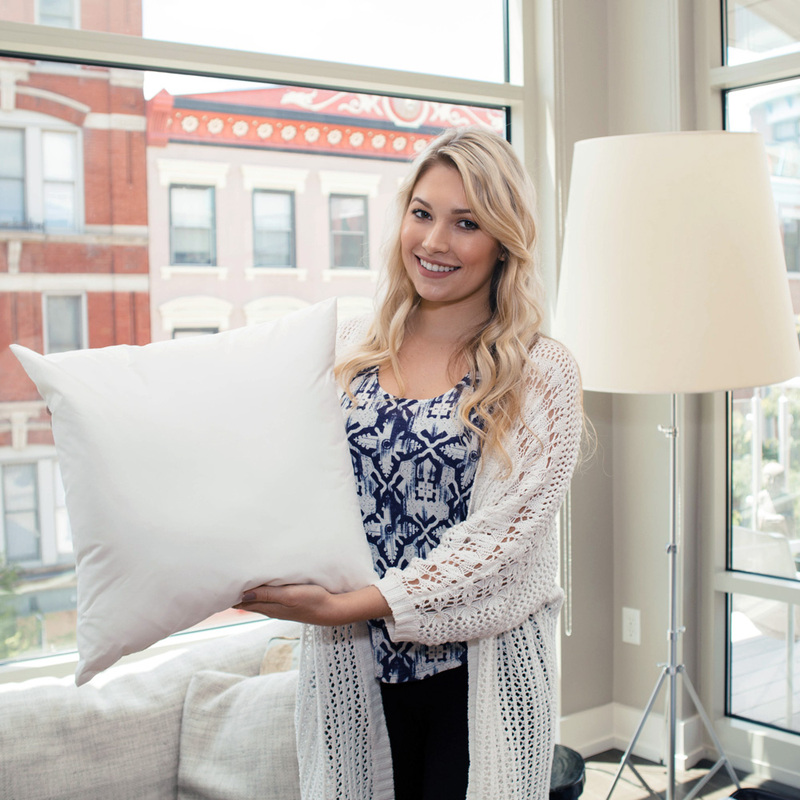 Looking for the perfect pillow form for your couch or bed? Don't settle for a pillow form that has lost its volume or is poking with feathers. Our collection of pillow insert forms include fillings like our 5/95 blend which contains 5% white down and 95% supportive white feathers. We also offer lots of down pillows, down alternative pillows, euro size polyester pillows and more. We assemble 100% of the pillow insert forms in our USA plants. With so many pillow options it can be a bit confusing which to pick. Don't take the chance of guessing on the wrong size or filling - Contact Us!